Wanna donate eggs for cash but can’t find donation centers near you? If you’re looking to make some money, donating eggs for cash can be a rewarding option. Not only do you earn yourself a sizeable amount of money, but you also help a person who’s struggling with fertility issues or is unable to have children. There are actually many companies that pay you for egg donations. And the good news is that you can get paid upwards of $5,000 to $10,000 per donation. Below, we list companies that pay you to donate your eggs. And, we discuss how the process works, what the requirements for being an egg donor are and what to expect. How much do you get paid to donate eggs? The question most people have when it comes to egg donation is: how does the process work? Egg donation, also known as Oocyte donation is used to make pregnancy possible for women who might not be able to get pregnant with their own eggs. Obviously, the process can vary slightly from company to company and from doctor to doctor. It’s important to note that companies will pay for all of the medical care you receive, such as the ultrasounds and bloodwork, during the whole donation process. The first step is to fill out an application with the company you plan to donate through. Then, you’ll have to undergo a screening/interview process to ensure you’re a suitable candidate for egg donation. If you pass the screening phase, you need to sign contracts and agreements. Then, the company will match you with a recipient. When you’ve been cleared to be a donor, the doctor will provide you with medications to suppress ovulation and to stimulate your ovaries. This is so they produce and grow more eggs than they normally would. You self-administer this medication via daily injections (you are taught how to do this). 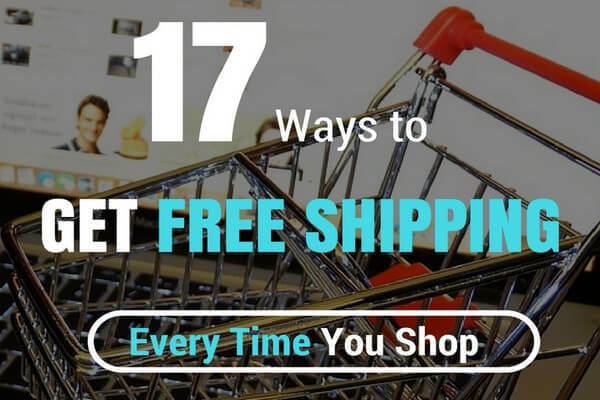 Usually, you have to administer the medication for anywhere from 8 to 14 days. During this time, you will have to attend regular appointments with your doctor so that they can see how the ovaries are responding. These appointments involve blood tests and ultrasound tests too. In the final stage of the donation process, the eggs are retrieved. When your ultrasound shows that your eggs have sufficiently developed, you’ll have to take an injection that triggers ovulation. This injection is administered around two days before the eggs are retrieved. Egg retrieval involves a minor surgical procedure, called Transvaginal Ovarian Aspiration. During this procedure, the doctor uses a thin needle attached to an ultrasound probe to remove the eggs. You are provided with a mild anesthesia or sedative, so the process is painless. The procedure of removing the eggs only takes around 15 to 30 minutes. And, since the probe is inserted vaginally, there are no incisions required. You do need to take the rest of the day off to recover, and you’ll spend a couple of hours post-procedure at the medical facility to recover. The egg donation cycle takes from 3 to 5 weeks in total from when the injections begin, and the whole process including application, pre-screening, etc., can take up to 6 months. To become an egg donor, you need to fit certain requirements. Some requirements, such as age, can vary from place to place. So, make sure that you check the criteria for the particular place you plan to donate through, prior to making an application. Usually, you must be 21 to 30 years old. However, some companies will accept eggs from donors aged 18 to 35. You’ll need to have a healthy BMI. So your height and weight must be proportionate. You’ll need to have regular monthly periods. You must have no reproductive disorders or abnormalities. You’ll sometimes need to have knowledge of the medical and genetic history of family members. You need to be a non-smoker/non-drug user. Of course, you’ll also have to be reliable, and willing to go through the whole process of donation. It’s not a quick and easy process, and it requires commitment and your time of course. The exact amount you are paid varies based on different factors just like with sperm donation which I explained in our “How Much Do You Get Paid to Donate Sperm” post. Some centers pay a few thousand dollars and some more. The good thing is that every center will give you this information before you start the process. Of course, for the companies listed in this post, you will see the exact pay. This is one of the biggest questions people seem to wonder about. Many factors determine exactly how many times you can donate eggs while still maintaining your health. Your age and health are just two of the biggest factors. That said, unlike donating blood plasma for money where you can donate few times a month, most fertility and donation centers only allow you to donate eggs up to 6 times in total. Now you know how the process works, you’re probably wondering where to find places that pay you to donate. Below, we’ve listed fertility centers, egg banks and other companies that will compensate you for being an egg donor. If you want to get paid to donate eggs, then check out the places below. You get paid between $3,500 and $15,000 to donate eggs through this company. You receive $750 when you first start the injectable medications. Then, you get the rest of your compensation once the eggs have been retrieved. Just visit the website to apply. You’ll need to provide information, like your doctor contact information, family medical history, and personal health information. You also need to include at least one photo of yourself. Growing Generations will pay you $8,000 for your first egg donation. And, then for every donation after that, you’ll receive $10,000. When you start your medications, you’ll get paid $750, and then the rest of the money once the egg retrieval process is complete. Plus, you get reimbursement for mileage and parking for appointments. And, if you have to fly to see the physician, then the company pays for your meals, hotel, and travel. To get started, visit the company’s website, and fill out a simple online survey. If you’re cleared, then you will need to complete an application. The World Egg Bank will pay you between $3,000 and $6,000 per donation. You can donate up to six times. This means you could make $18,000 to $36,000 in total as a donor. The company pays for long distance travel costs too. You receive a check on the day of egg retrieval. Just visit the website and fill out an application. You’ll need to upload photos and a photo of your ID as well. Once your application has been reviewed, the company will contact you to arrange an interview. The whole process takes two to three months. While the Center for Human Reproduction looks for donors aged 21 to 34 years old, it does make exceptions for women ages 18 to 21 and 34 to 35. If you live outside of the NYC metropolitan area (where the company is located), then the age requirement is between 21 and 29 years old. With this company, how much you get paid depends on how many eggs you produce. So, you get paid $8,000 if you produce at least 10 mature eggs – this is the average payment according to the company. And, if you are in high demand, you can also earn more – up to $14,000. Just visit the website, and you can fill out an application to become a donor. Pay begins at $7,000, but there is the potential to earn more. Visit the website to fill out an application. If you’re selected as a candidate, you’ll be interviewed, and learn more about the process of being a donor. You’ll also have to complete enrollment paperwork. Pay varies on a case-by-case basis. It ranges from $5,000 to $10,000. All of your medical expenses, insurance, attorney fees, and travel expenses are paid for as well. If you meet the requirements, which you can read about on the website, then you can submit an online application to become a donor. Visit the website to complete the pre-qualification egg donor application form, and register an account with the company. You get paid $6,500 to $15,000 per donation. If you’re a first-time donator, then you get paid $6,500, and then your compensation increases for each cycle. Aside from that, travel expenses related to your donation are paid for. While it does require donors who are aged between twenty and twenty-nine years old, Circle Surrogacy will make an exception for experienced donors. The age range for experienced donors is up to 31 years old. Pay ranges from $9,000 to $15,000 plus. To become an egg donor at Circle Surrogacy, you need to see if you meet the requirements. You can read those on the website. Then, you need to complete an online application form. Fairfax EggBank doesn’t state exactly what they pay you to donate. But, the company does state that the compensation for completing a cycle is several thousand dollars. And, you also earn up to $500 if you enter the Donor Egg program. This program also gives you $1k when you refer a donor who completes a donation cycle. The company, like all of these companies, pays for your medical care, and your insurance. To get started, visit the website and fill out an online application. If your application is approved, you’ll be contacted to move on to the next step of the process. For your first donation, you get paid $7,000 and this fee increases by $500 following each successful donation. Since you can donate up to six times, you could potentially earn up to $9,500 for your sixth donation. Visit the website to complete a donor application. Shady Grove Fertility will pay you $50 when you complete your donor profile, blood test, and ultrasound. You will get this payment regardless of whether you are accepted or denied as a donor. Once, you attend Donor Day and a meeting with a counselor and get accepted into the program, you get paid $450. If you don’t get accepted into the program at this stage, then you still earn $200. And, once you complete the donation cycle, you receive $6,500. If you donate eggs for the second time, you get $7,500, and for each additional cycle, you earn $8,000. If you’re interested in donating eggs through Shady Grove Fertility, then apply on the website to see if you are pre-qualified. Pay starts between $8,000 and $10,000 and then increases with each subsequent donation. According to the Egg Donor Program, there is no cap on fees. It states, however, that the amount is, generally, set by qualifications, such as educational level, SAT/ACT scores, and family history. Also, your travel costs are paid for. To get started, complete an online application form on the website. Once your final donor application is completed and accepted, the company will contact you within 48 hours. It will arrange a phone or in-person interview. Arizona Egg Donors pays from $3,500 to $4,500 per donation. To get started, you need to visit the Arizona Egg Donors website and complete a pre-screen application form. Once you’ve completed this, you will be notified via email, usually on the same day or the following day, about the next step. The Egg Donor Agency at Pacific Fertility Center is another place where you can get paid to donate eggs. It’s been around since 1993 and has completed more than 2,000 egg donations – so it has plenty of experience. 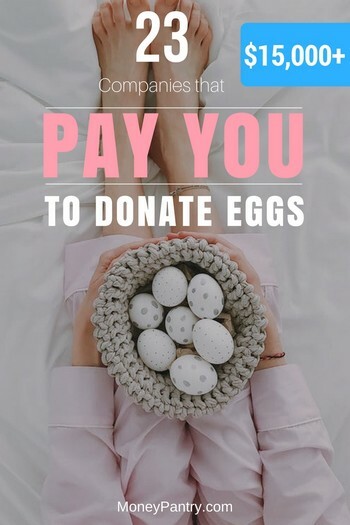 In addition to the $10,000 compensation you receive for donating your eggs, the company also pays for your expenses during your donation cycle. The San Diego Fertility Center pays you from $5,000 to $15,000. How much you get paid depends on your personal travel, other expenses, and requirements. Visit the center’s website to start your application. If you pass the initial application, you’ll need to undergo a more in-depth screening process. You can get paid between $5,000 and $7,000 when you donate eggs to the Donor Egg Bank USA. Just visit the website to fill out an application. The Egg Donor Cryobank Network pays you $4,000 for your first donation. But, you can earn more than that if you’re a proven donor or in high demand. What’s interesting about the company is that it will allow you to freeze a couple of your own eggs for future use. It does this free of charge. Visit the website to start your application. When you donate eggs through Santa Monica Fertility, you can earn $5,000 to $7,500. And, if you donate eggs again in the future, then you can receive more money than that. Just fill out an online application form on the Santa Monica Fertility website. One of its coordinators will review it and then contact you regarding your application. To donate to eggs through IVF New England, you need to live or work in the New England area. If you meet the criteria, which you can review on the website, then you need to complete a short pre-screening application. You can also do this on the website. Seattle Reproductive Medicine is accepting donor applications in Seattle, Spokane, and Tri Cities. Aside from earning $7,000 for completing a donation cycle, you can also earn $500 when you refer a friend who donates eggs. Visit the website to apply to become an egg donor. When you first donate eggs through Oregon Reproductive Medicine, you will earn $7,000. For each subsequent cycle, you can earn more, depending on the results of the first cycle. You get a check on the day of your retrieval or mailed to you immediately. The NYU Langone Fertility Center pays well for egg donations. If you want to donate through the center, then call 212-263-0054 or fill out the egg donor eligibility form on the website. The Fertility Center is looking for donors, especially those who are non-Caucasian. If you want to become one of its egg donors, then you need to review the criteria, and then contact The Fertility Center on 616-988-4602. You can also complete a preliminary application online. It may come as a supersize, but some universities also pay for egg donations. For example, Washington University has a center known as the Fertility and Reproductive Medicine Center which is always looking for donors. According to the university, you can expect $5,000 for your time, travel and efforts which is paid to you once you have completed an ovum donation cycle. To learn more about the program visit the Washington University’s Fertility and Reproductive Medicine Center. Get in touch with universities near you to find out whether or not they have paid egg donation program. So, now you know what being an egg donor entails, what the requirements are, and the places where you can get paid to donate eggs. Unfortunately, there are some risks and side effects involved. But that’s really beyond the scope of this post. Since you have to be monitored while taking injections and undergo screening tests, like blood work and ultrasounds, expect a lot of visits (around ten plus) to your doctor’s office. Of course, not everyone will experience these symptoms. Make sure you ask your doctor to outline the side effects of the injections for you. You also have to administer injections that stimulate the ovaries. Occasionally, Ovarian Hyperstimulation Syndrome or OHSS can occur. This is when the ovaries become too stimulated. Your doctor will monitor you the whole way through though, and if you do develop OHSS, you’ll be put on bed rest and be given pain medication. 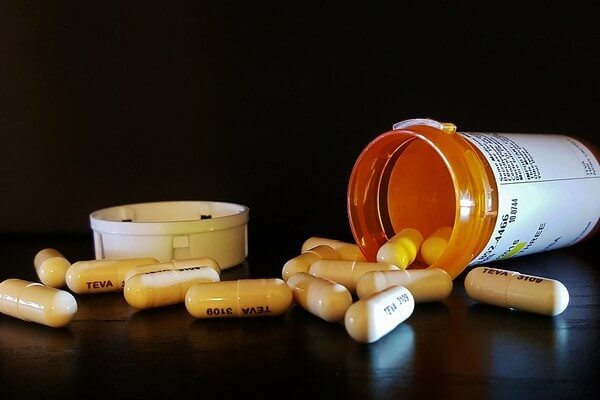 If you show signs of OHSS before the eggs are ready to be taken, then your doctor may advise you stop using the medication and the cycle will be canceled. Donating eggs is by no means a quick and easy way to make money. The whole process can take months. So you need to really be informed and dedicated before you start the process. Now, the monetary compensation isn’t the only reward. By donating your eggs, you also help families realize their dream of having a child. That in and of itself is the biggest reward for many donors. That said, egg donation also pays pretty well. You can earn thousands of dollars. And as you can see, with some of these companies, you can earn $10,000 plus. It’s a large amount of cash that you can put towards a college education, an entrepreneurial endeavor, a down-payment on a home, or straight into your savings account. Since you can donate up to six times, you could earn upwards of $60,000 from doing this. Of course, it’s not for everyone. But, donating eggs for money is definitely one of the more rewarding ways to make money.